Since I drove all the way out here to Columbus Ohio, I went to visit a friend of mine who lives about 2 hours away. 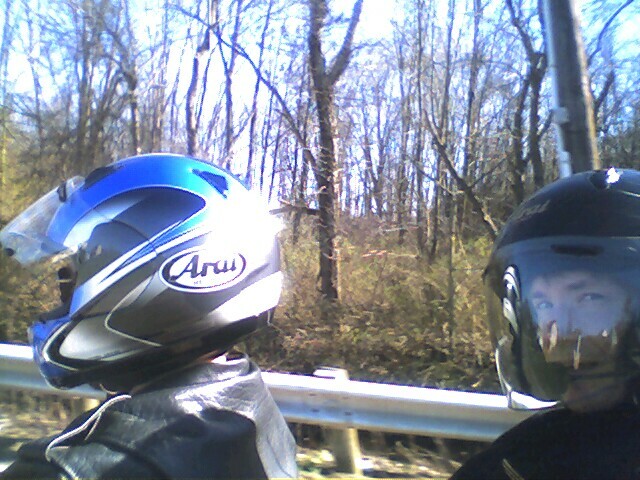 The weather was great, so he took me for a ride on his very nice motorcycle. I haven't been on a motorcycle since I was a teenager and I hadn't remembered how much fun it can be. Now I'm thinking I have a good idea of something to spend my tax return money on. Keep in mind the other name for motorcycles.